It was only in the last decade or so when I learned about the serious complications that can result from type 2 diabetes. I had thought diabetes was something most people could manage and control with medication and by improving lifestyle habits, yet research studies have shown that 1 in 2 people who have type 2 diabetes will die from heart disease. When coupled with the dramatic increase in the number of people being diagnosed with type 2 diabetes every year, especially among the Chinese Canadian population where the incidence of diabetes jumped 15-fold between 1996 and 2005, those numbers are devastating. 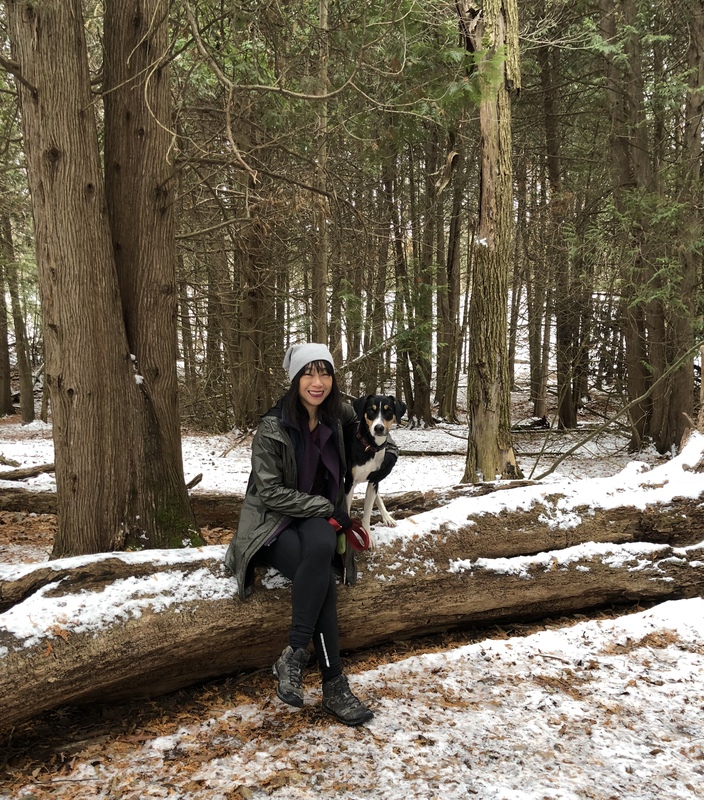 While I don’t personally have a family history of diabetes, we do have a family history of heart disease, and so I know it’s smart to focus on healthy lifestyle habits that reduce my risk factors for both – including keeping active and trying to manage my stress levels (which, for me, means getting out in nature to hike or run with my dog). Chinese Canadians are at a much higher risk of a diabetes diagnosis than Canadians of European descent, due to a combination of genetics and lifestyle changes. When I think of the people I know who have type 2 diabetes, and that half of them may not live to see their kids grow up, or go on that dream vacation they’ve got on their bucket list, or even simply enjoy everyday things for many years to come, like going for a walk with their dog, it’s heartbreaking. Which is why I think it’s important that we raise awareness around the connection between diabetes and heart disease. It could save lives. Diabetes significantly increases your risk of dying of heart attack, stroke and heart failure. Although most people with diabetes feel they are knowledgeable about how to manage their diabetes, more than half are unaware of the impact their diabetes has on their risk of heart disease. Simply controlling your blood sugar levels may not be enough if you have a history of heart disease While it is a critical part of managing your diabetes, there are medications that, along with following a healthy diet and exercise, have been shown to lower your risk of dying from problems related to your heart and blood vessels. People with type 2 diabetes develop heart disease at an earlier age than those without diabetes. How much earlier? 10 to 15 years earlier than those who do not have type 2 diabetes. All of which is to say that there is no better time than now to take managing your type 2 diabetes and heart health to the next level if you aren’t already, or to encourage the loved ones in your life to do so themselves. You can learn more at myheartmatters.ca, where you’ll also find a useful risk assessment tool to help determine what your personal risk is when it comes to type 2 diabetes-related heart disease. The more you know now, the more you can do to improve your health and reduce those odds of heart disease.